As a Fan of Dinesh D’Souza, This Video Blew Me Away ! Had no idea he was such a comedian ! This is frilliant! And one more ! or two !! I usually respect the somber U.S.history topics on somber dates and mattress sales, such as the burning of Atlanta, Pearl Harbor, The Challenger Explosion, September 11, but the White House made me do this. I mean no disrespect for the casualties from the Civil War through the Obama Administration. 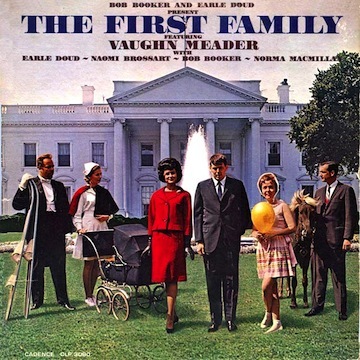 Circa: 1962 Google or Bing search Vaughn Meader, his career ended after JFK’s assassination. He was so much funnier in those pre-SNL, Stewart and Colbert days. Meader’s albums are still available on Amazon, ten years after his death. I have the original vinyl album. Circa: 2013, yes this photo was taken today, 9-11-13 and I doubt anyone will use it as a comedy album cover, and they should ! 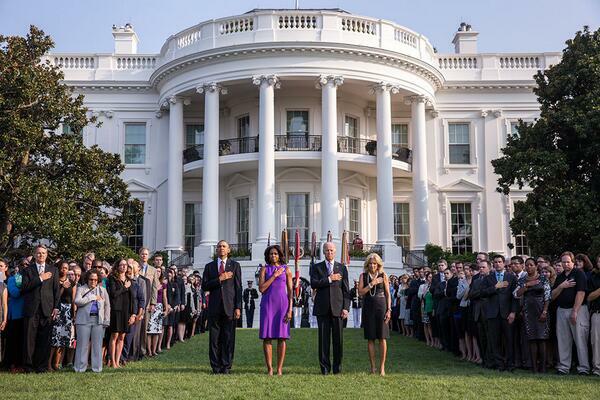 When the WH released this as an official photo, I laughed and I laughed, who in the WH is old enough to remember 1962 ? Will Oprah drag Barry to her Couch ? According to the Washington Post looks like Lance will get the Oprah treatment. Like James Frey ? Seems Obama did a little fabricating on his own, where’s the outrage Ms Winfrey ? Comments Off on Will Oprah drag Barry to her Couch ? Sunny TV: Sunny Makes a Sandwich, or does she? Sunny explains Barack Obama’s “you didn’t build that” quote with a sammie. Has it been two years already ? This video is a powerful 4+ minute timeline of Obama’s ineptness and lack of leadership which he still proves on a daily basis. Great clips of Olbermann and Matthews without the spittles and tingles. I can see November from my front porch and voting RINO – Romney is Not Obama !